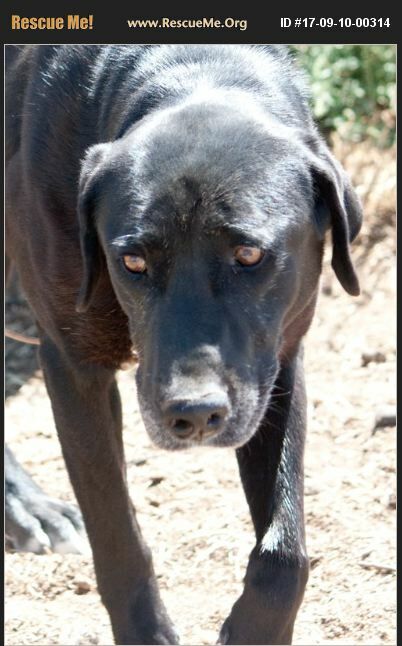 Utah Lab Rescue View other Labs for adoption. Lola is an incredibly sweet but extremely hyperactive 9 year old border labby. She can't come inside our house because she's crazy energetic, knocking stuff over and causing general havoc. She has no problem living outside except that if she doesn't have access to the front door where she can happily greet her owners, she will climb/jump/dig to escape her pen. We have chickens, and she has killed several of them. We've had to keep her both penned AND chained just to keep her from destroying our flocks. She has also, while not chained, run off and pestered and possibly injured sheep from another farm. The farmer shot at her, but missed, and she escaped. Basically, she's no good with farm animals. Because of this, we haven't dared sell her traditionally. Most people who have dogs that have killed farm animals have their dogs put down, and we've had people encourage us to do this. We refuse, and if we HAVE to just keep her chained and penned for the rest of her life, we're willing to do it. She's been a good friend, and an EXCELLENT running buddy. We just don't have the skill, time, or energy to provide the intensive training it would take to get her into a manageable state. She's incredibly food motivated, in case that might help someone that would consider training her. She LOVES to run. She's also a hunter--she's caught and killed several squirrels and skunks. She has an adorable smile that gets visitors a little nervous, because she bares her teeth and pants heavily when people come to see her. She has always loved any and ALL people, and has never shown even the slightest aggression towards people. That said, when she gets excited (such as when her owner gets home), she gets so hyper that she might knock over children or furniture. As a man with ADHD, I've sometimes told my wife that Lola is like a dog with ADHD. Sweet and loving, but doesn't know how to contain her excitable energy and terrible distractedness. She has begun slowing that energy some as she's been getting older. She's now 9 years old, and though we'll miss her, she's too much a threat to our growing farm. Though she's a hunter with smaller animals, she does great with other dogs. She gets a little nippy with particularly dominant dogs, but for the most part she loves the companionship. Most of all, however, she's a people dog. I just hate seeing her penned all day every day. She wasn't always penned. We're on 5 acres, and for awhile she lived off leash without fencing, but after several months she started wandering and would bring home roadkill, and eventually started pestering nearby farms. In other words, a good fenced yard with front door access would be best for her. Just beware if you're a gardener--she'll dig a hole in her favorite shady spot to lay in.